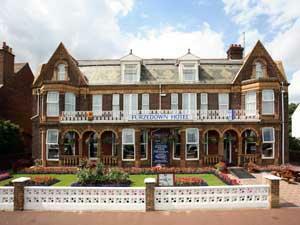 Wedding Receptions at The Furzedown Hotel01493 844138work Wedding Reception VenueThe Furzedown Hotel, Great Yarmouth, offers superb facilities for your wedding, seating up to 140 in comfort or if you prefer a buffet catering for up to 200. In choosing the Furzedown you will be assured of a first class service and excellent food. We offer a wide selection of menus using only the finest, freshest meat, fish and vegetables available. We will be pleased to help you with your choice of wines, seating arrangements, disco or any special requirements you may have. We believe in giving true value for money, whilst still ensuring superb facilities, food and wine and the personal attention of our experienced staff. Our inclusive Wedding Package is designed to help you with the many arrangements for your special day at a very reasonable price. 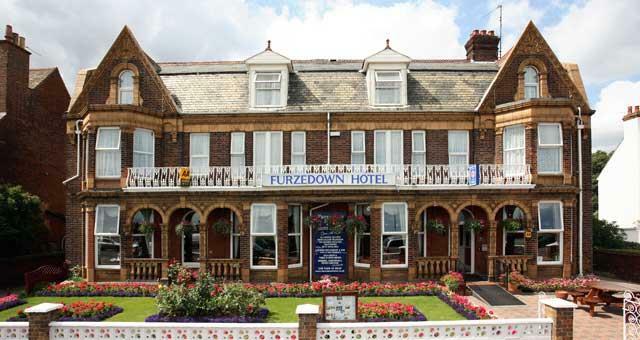 The Furzedown Hotel, Great Yarmouth, offers superb facilities for your wedding, seating up to 140 in comfort or if you prefer a buffet catering for up to 200 and can assist with any extra requirements you may have. from A47, continue over roundabout and carry on to seafront. Turn left along seafront, hotel is situated opposite waterways.